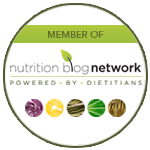 Nutrition for retirees: Age 64 to 75 | Health Stand Nutrition Consulting Inc. If you are between the ages of 64 and 75, it is now more important than ever to maximize your nutrition to protect your long term health. With decades of habitual eating habits, it can be challenging, but the results to boost your quality of life are worth the effort. 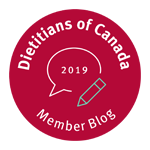 Statistics Canada in the Canadian Health Measures Survey showed that 79.7 per cent of men aged 50 to 70 and 67.7 per cent of women aged 50 to 70 are falling short in calcium from calcium-rich foods, beverages and supplements. Low calcium intake is associated with osteoporosis, high blood pressure and colon cancer. This study also showed that two-thirds of the population has vitamin D levels below the amounts research is associating with reduced risk of chronic diseases such as cancer, while one in 10, or more than three million people, have such low readings that they don’t have enough for good bone health. If you consume three or more servings of calcium rich foods daily – such as one cup milk or soy milk, 1/2-cup yogurt and 1.5 ounces of cheese – you will consume enough calcium from food alone. To achieve an optimal amount of vitamin D for health, consume vitamin D rich foods such as milk and fatty fish and take a vitamin D supplement. Health Canada recommends all adults over 50 take a vitamin D supplement of 400 IU per day. Osteoporosis Canada recommends daily supplements of 800 to 2,000 IU for adults over 50 and the Canadian Cancer Society recommends Canadians take in 1,000 IU of vitamin D every day. The risk of heart disease, cancer and diabetes increases with age. Be sure to get more of the heart healthy fats such as vegetable oils, nuts, seeds, avocado and fish fats and limit saturated fats by choosing leaner cuts of meat and lower-fat dairy. Eliminate trans fats found in deep fried and packaged foods containing hydrogenated oils. Plan your meals with healthy carbohydrates such as whole grains, beans/legumes, fruits and vegetables and also balance each meal with a source of protein such as meat, poultry, seafood, eggs, dairy, nuts or legumes. Protein is very important to provide fullness and prevent a rapid spike in your blood sugars. Of particular importance in reducing your cancer risk is being sure to eat enough vegetables and fruits per day. Adults over 50 years of age require seven servings of vegetables and fruits per day. One of the easiest ways to make sure you are getting enough is to be sure that your breakfast and snacks have fruit and your lunch and supper have loads of vegetables. After years of conflicting media messages and many diet fads, you may be confused and frustrated about what to eat. Refuse to buy into quick fix solutions such as diet pills or revolutionary eating plans that highlight a long list of forbidden foods. I shake my head when someone tells me that their weight loss plan does not allow them to eat bananas or white rice. Has anyone actually become overweight because they ate too many bananas? I wonder if people that refuse to eat any white foods had stopped to ponder why the whole continent of Asia was not overweight eating a high-carb diet based on large quantities of white rice. The truth is there are no good and bad foods. While you may want me to highlight forbidden foods you should never eat and golden foods that you should always eat, remember all foods can fit. Look at your diet as a whole versus analyzing every single food choice you make. Understanding how to downsize your food and nutrition habits is an important way you can watch your calories as you age to help you manage a healthy weight. Stockpiling, bulk buying or buying colossal family-sized packages can make it difficult to maintain a healthy body weight. Research has shown that if you have more, you eat more. For example, if you have four boxes of crackers sitting in the pantry you will likely eat more than if you have only one box. If you purchase large bags of nuts you will likely eat bigger portions than small bags of nuts. Visibility and convenience can also cause you to overeat. The more times you see something and the easier it is to get to, the more likely it is that you will eat it. You can tell yourself a dozen times that you don’t need to eat the cookies you pass by in the large glass jar on the counter, but after a few more times of seeing it you will likely give in and eat some. The old saying out of sight out of mind will serve you well. You may also want to portion out your food on the counter rather than eating “family style” with bowls on the table. You will also eat less if you portion out foods into bowls rather than eating them directly from the bag or carton. Consuming food on a smaller plate or from a smaller container can also help. Here’s a great way to include more vegetables in your diet. Preparation is extremely simple and the result is delicious and flavourful. In a large bowl, combine the cut-up vegetables. Add olive oil and toss vegetables until they are coated. Spread vegetables evenly on a large roasting pan. Roast for 35 to 40 minutes in the preheated oven, stirring every 10 minutes or until vegetables are cooked through and browned. Optional: when ready, sprinkle vegetables with salt and/or pepper to taste. Nutrition information per serving: calories 83, carbohydrates 9g, protein 3.2g, fat 4.9g, dietary fibre 3.1g. Try this for supper with whole grain toast and a mixed green salad. Reheat the leftovers for lunch the next day. In the same skillet, cook onion, garlic, and red pepper until soft. Add cooked sausage. In a large bowl beat eggs, milk, thyme and parsley. Add this egg mixture to the skillet and cook over medium heat until egg mixture begins to set. Lift edges to allow uncooked egg to flow underneath. Cook until top is almost set. Preheat your oven to broil and broil the skillet for 1 to 2 minutes or until top is set. Nutrition information per serving (analysis done with Italian turkey sausage): calories 219, carbohydrates 7.2 g, protein 19.3 g, fat 12.6 g, dietary fibre 1.3 g.
Foods rich in colour such as butternut squash are good sources of carotenoids – compounds, which are cancer and heart disease preventive. Preheat oven to 350°F (180°C). Cut squash in half and scoop out seeds. Brush the cut side of the squash with olive oil and place cut-side down on baking sheet. Without removing skin, cut the hard end of the garlic off and place the exposed end on the baking sheet next to the squash. Peel and core the apples and add to the baking sheet. Scoop out the squash and squeeze the processor or blender, puree. Transfer puree to medium saucepan. Add enough stock to give soup the desired consistency. Add salt, pepper, and nutmeg to taste. Nutrition information per serving: calories 222, carbohydrates 46 g, protein 9 g, fat 2 g, fibre 5 g.
A yummy cake that is also a source of fibre and phytonutrient rich berries! Combine sugar, oil, buttermilk and eggs and mix well. Add dry ingredients and mix just until moistened. Fold in raspberries and blueberries. Pour batter into a sprayed Bundt pan. Bake at 350°F (180°C) for about 1 hour. Optional: Glaze cake with 1 cup (250 mL) icing sugar thinned with 2 tbsp (25 mL) of water. Nutrition information per serving: (without glaze) calories 226, carbohydrates 39 g, protein 5 g, fat 6 g, dietary fibre 3 g.
Completely cover the bottom of a large frying pan with orange slices. Pour water into pan and bring to a boil. Place thawed basa fillets on top of orange slices. Cover pan and let cook on medium heat for approximately 5 to 8 minutes or until the basa fillets are completely cooked throughout. Nutrition information per serving: calories 112, carbohydrates: 0 g, fat 5 g, protein 16 g.
A fresh and flavourful appetizer or serve on a pizza shell topped with cheese for supper. Optional: Meanwhile, slice whole wheat French baguette into disks and place on a baking sheet and bake in the oven until toasted. Remove bread from the oven and transfer to a large serving platter.Spoon tomato mixture over the bread and serve. 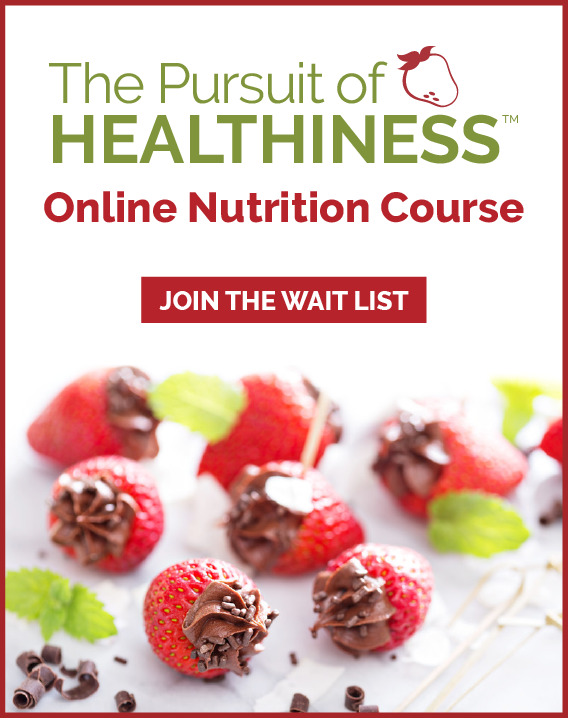 Nutrition information per serving: calories 170, carbohydrates 25 g, protein 5 g, fat 7 g, fibre 4 g.
Andrea Holwegner, the Chocoholic Dietitian, is founder and president of Health Stand Nutrition Consulting Inc. Visit healthstandnutrition.com and chocoholicdietitian.com for tips, articles and recipes, and to subscribe to a free monthly e-zine, or phone 403-262-3466 for nutrition counselling, seminars and resources.